Trial and error. And lots of perseverance and smarts. That’s what it took to get the first successful flying machine off the ground. Comic-book style art brings the Wright’s triumph to life. 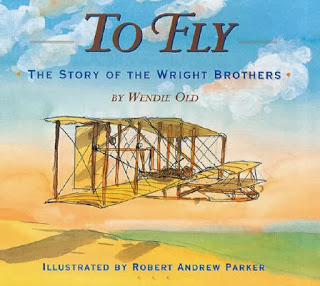 Find an online biography of Wright at NASA as well as information at the Wright Brothers National Memorial. Soar, Elinor by Tami Lewis Brown, illustrated by Francois Roca. Farrar, Straus and Giroux, 2010. 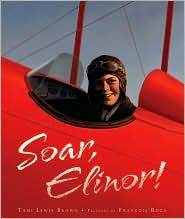 Pioneering aviator, Elinor Smith, took her first airplane ride at the age of six. By ten she was taking lessons and at fifteen flew her first solo. A daredevil and a record-breaker, Elinor Smith soared. 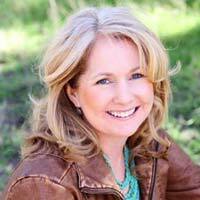 The Woman Pilot Magazine features an article with photographs about the amazing Smith. dramatic and real by Wendell Minor’s vivid paintings. 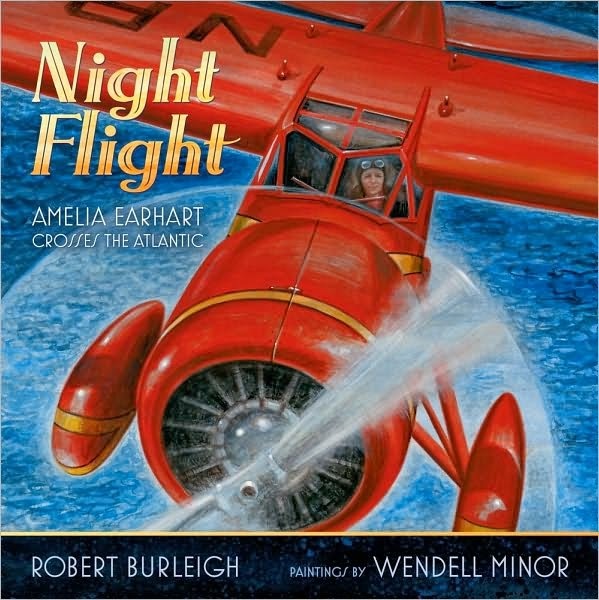 What happened to Amelia Earhart? Though the answer still remains a mystery, this book takes readers on a journey of what is known, from her childhood love of planes to her fateful last contact with the outside world, and ends with speculation about what really happened. Tour the Official Site of Amelia Earhart to learn more about her life, achievements and disappearance.